Want to leverage an established, successful blog in the independent travel world? As one of the world’s top independent travel blogs, we can help you get the word out there for your tourism board, brand or website. 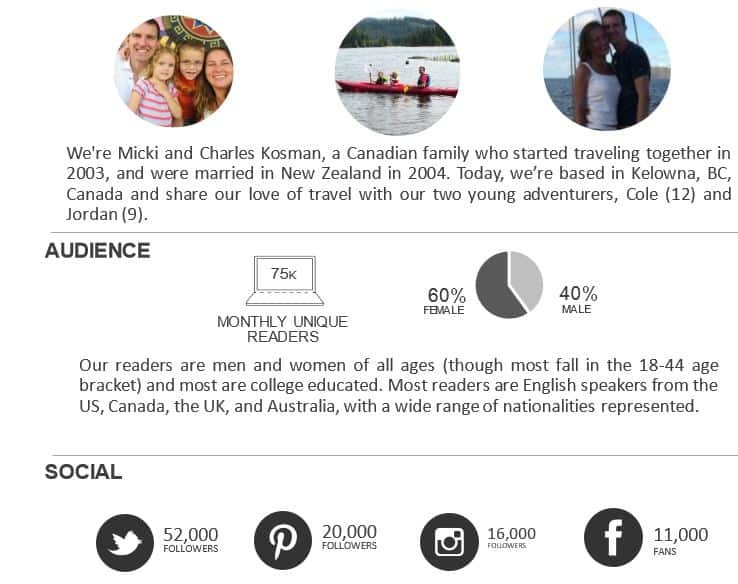 You can find us among the Top 100 Canadian Travel Blogs (social media and website traffic) and we consistently rank in the top 100 of worldwide travel social media influencers. We’ve worked with some great brands and tourism boards, including Visit New Hampshire, Destination British Columbia, Visit Mexico, Tourism Anguilla, Canon Canada, GMC Canada, Delta Hotels, Skyscanner and many others. We are open to sponsorship, partnerships, advertising and writing engagements. You can reach us at admin@thebarefootnomadDOTcom (replace the DOT with .) or through our contact form here. We have been traveling around the world since 2003, both as a couple and now as a family of four. You can learn more on our About page. Need professional, friendly travel bloggers to help promote your destination? We currently accept media trips. We always disclose to our readers if a trip, product or service is sponsored. We offer several banner ad areas and placements, including the header, individual page or specific spots in the header or sidebar. We retain editorial control of the post, but if you have a great product that we can endorse, and we’re a good match, we can let our readers know. We do not allow advertorials. Reviews are approximately 400-800 words in length, and include back links to your website and social media promotion. Reviews remain permanently in the archives. With backgrounds in computer programming and technical writing, we provide educated, savvy reviews of travel and technology products. Our blog is a friendly, trustworthy place for our readers. All of our reviews are honest, and we disclose to our readers if we’ve received discounted or complementary travel or products. We offer a full suite of social media promotion, including Twitter, Facebook, Pinterest, Instagram, YouTube and Google+. We love Twitter! 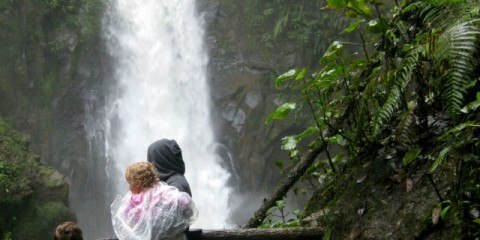 We’re experienced travel Twitter chat hosts, and would love to help you with your Twitter chat. We love to hold contests and giveaways on our blog. Contact us to have your product featured! We’ve found that contests get a fantastic response from our readers. We’ve just finished up a contest that received 6,416 entries and 1,010 tweets. We provide professional writing services, including blog writing, copy writing and technical writing. With over ten years experience in professional writing and editing, we deliver polished articles on time and on budget. 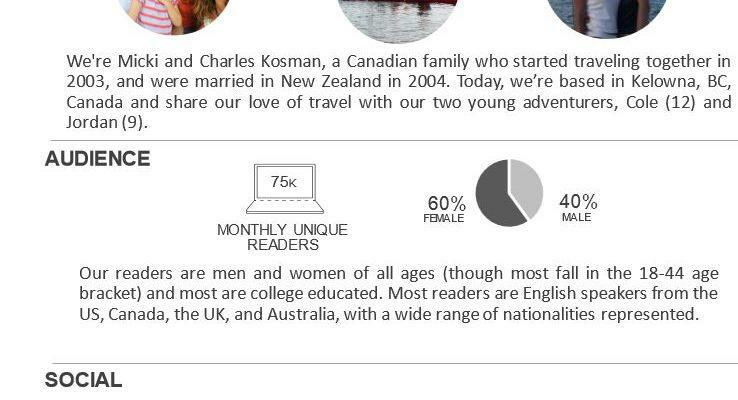 The Barefoot Nomad has a highly engaged, loyal reader base. From their emails, Tweets, and Facebook posts, we know they’re passionately curious about travel and technology. The majority of our readers have a college or graduate school education, earn over $100,000 per year, and are in the 18-44 age bracket (Quantcast). Check out our latest mentions in our media archive. Klout score: 70 Social Media platforms: Twitter, Facebook, Pinterest, Instagram, YouTube, Tumblr and Google+. Consistently in the top 100 of the Rise Top 1000 Travel Bloggers on Social Media. Want to know more? 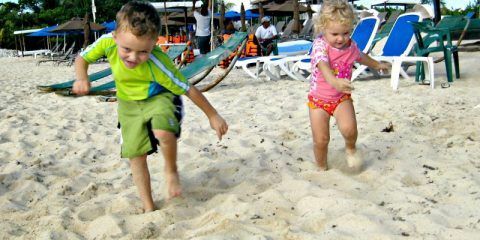 Please contact us or email micki @ thebarefootnomad dot com for rates, sizes and to ask questions. We look forward to working with you. You can see our full Media Kit here.